The international property company Cluttons have opened an office in Barcelona, in a vote of confidence in the local property market. 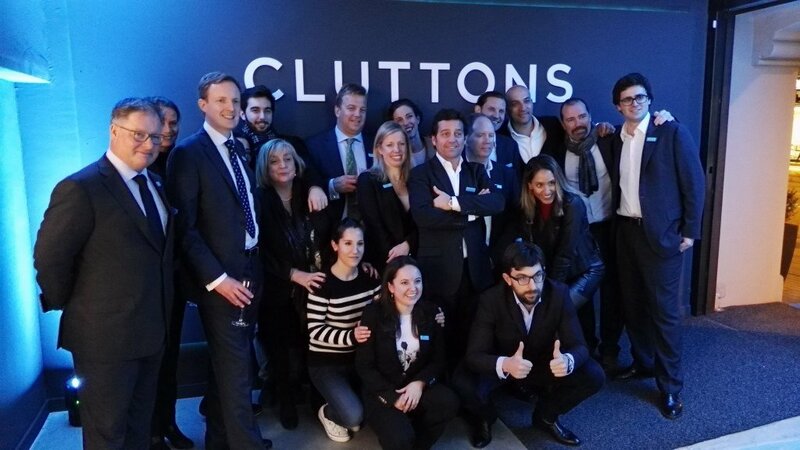 252 years after the company was founded, Cluttons have opened their first office in Barcelona, with an inauguration party last night that I attended (wines from Catalonia and cheese from the UK). Steve Morgan, a senior partner at the firm, explained that Cluttons is growing its international business working with local affiliates in markets with a strong growth story. “We believe Barcelona has an promising two or three years ahead,” he said. Their strong presence in the Middle East will serve them well in Barcelona, as demand for homes in the Catalan capital from that region is growing strongly, local agents report. The Cluttons brand in Barcelona will be represented by their associate partners Gesco Real Estate led by Isidre Valldosera, a professional with many years experience in the Spanish property sector. They will be opening up more offices around Spain to serve local and international clients. Cluttons already have an office in Benahavís, near Marbella on the Costa del Sol.